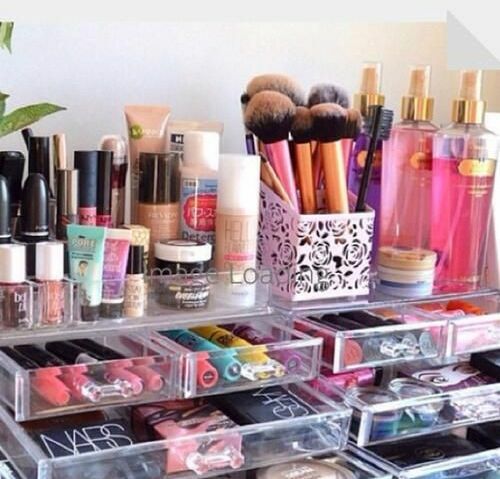 Every girl has a lot of makeup and beauty pieces at home, all the nail polishes and lip glosses lying here and there. 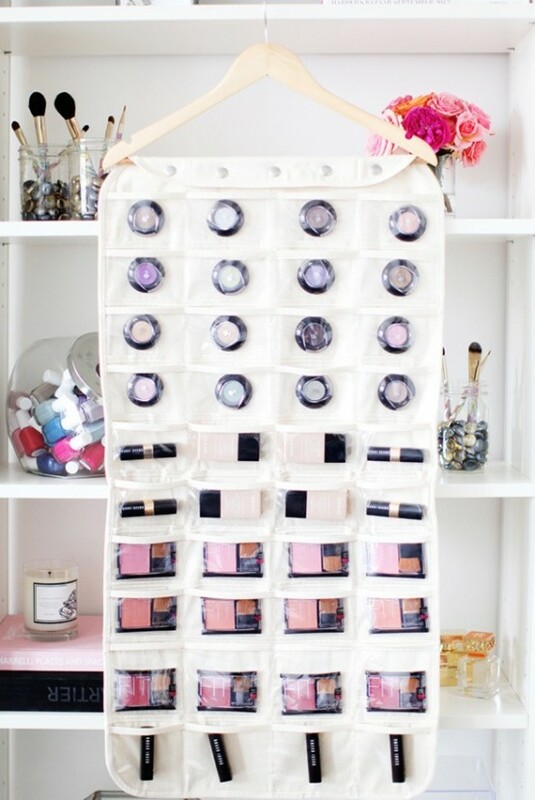 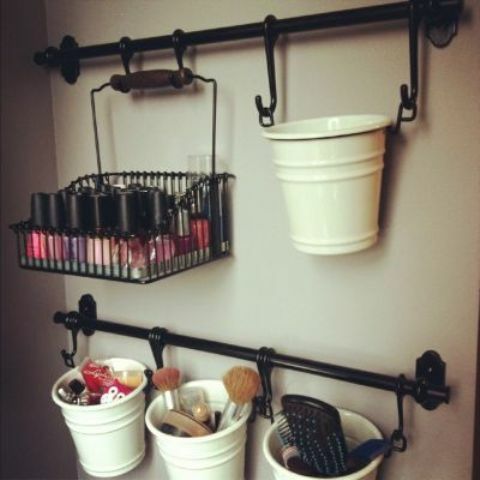 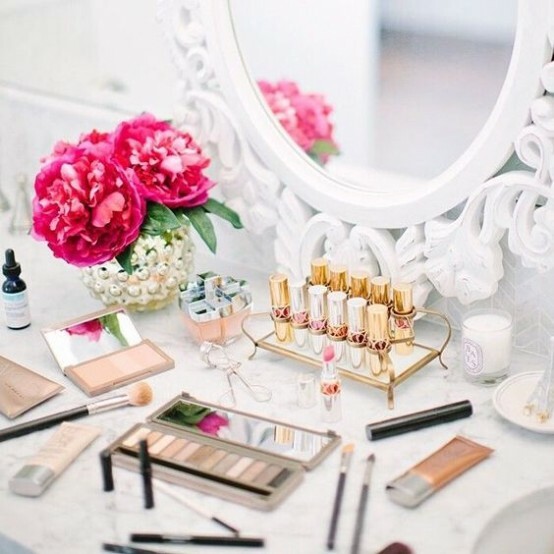 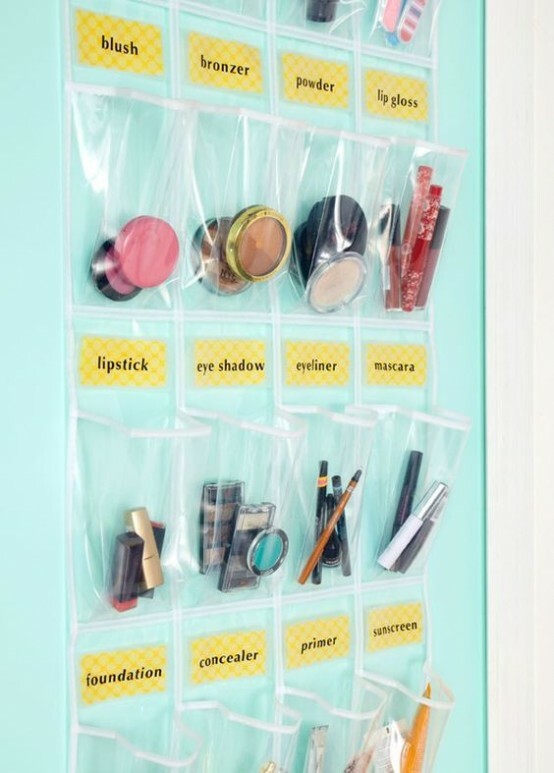 I’ve prepared some cool ideas to help you organize the makeup, make it easy to find and not take much space. 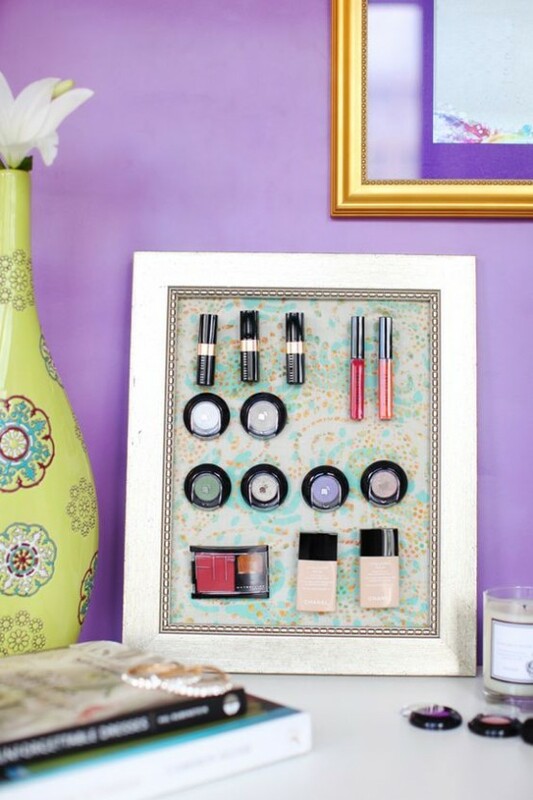 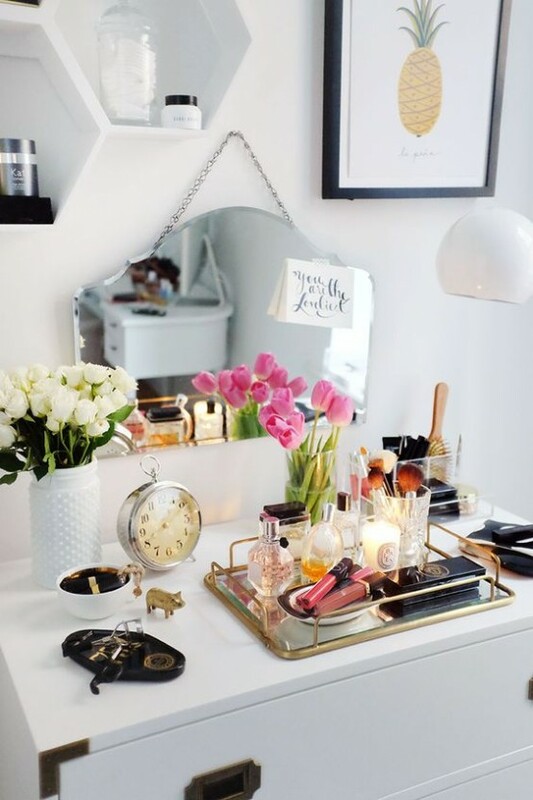 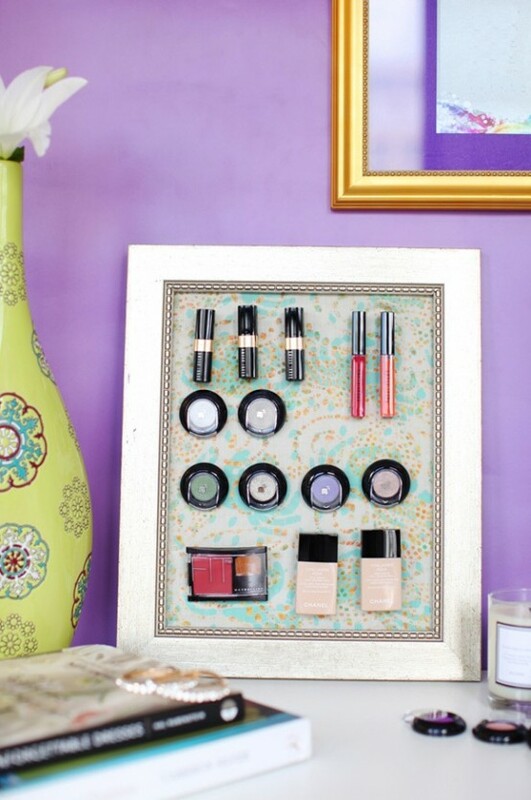 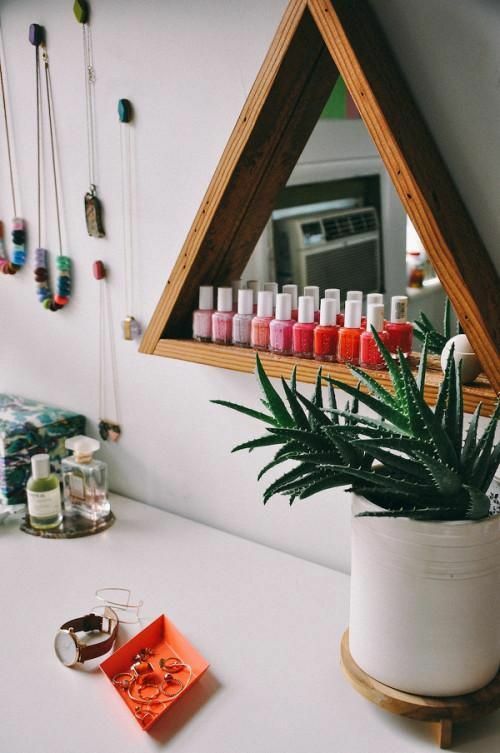 A magnetic board is a must for every makeup nook or vanity – it’s perfect for storing any makeup and it’s mobile, so you can move it to various places if you don’t have a special makeup space. 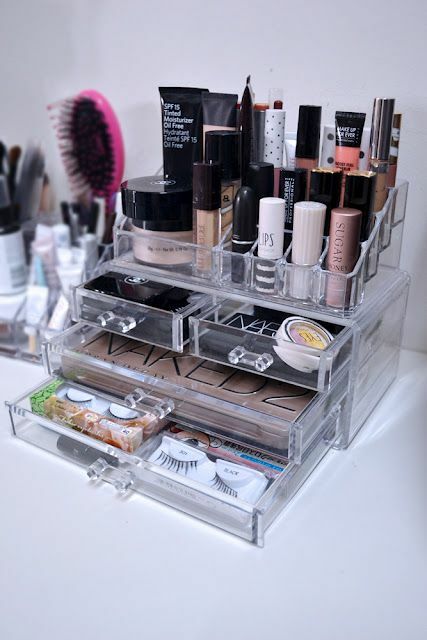 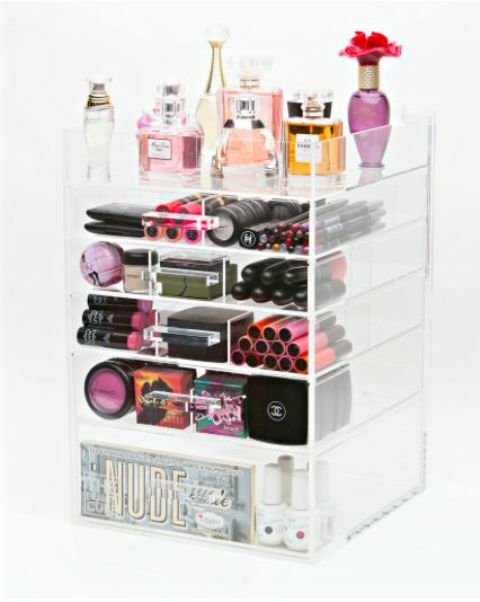 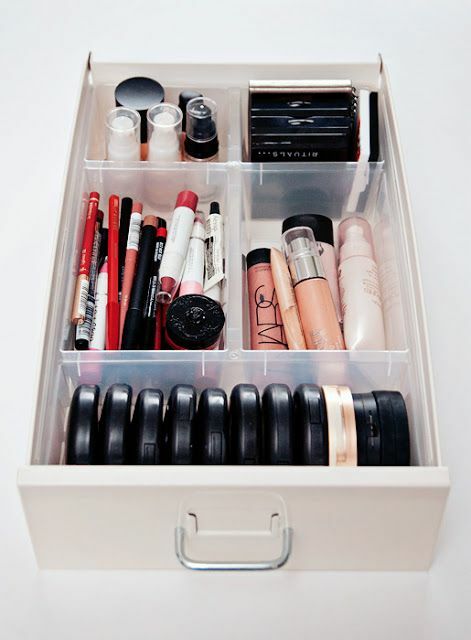 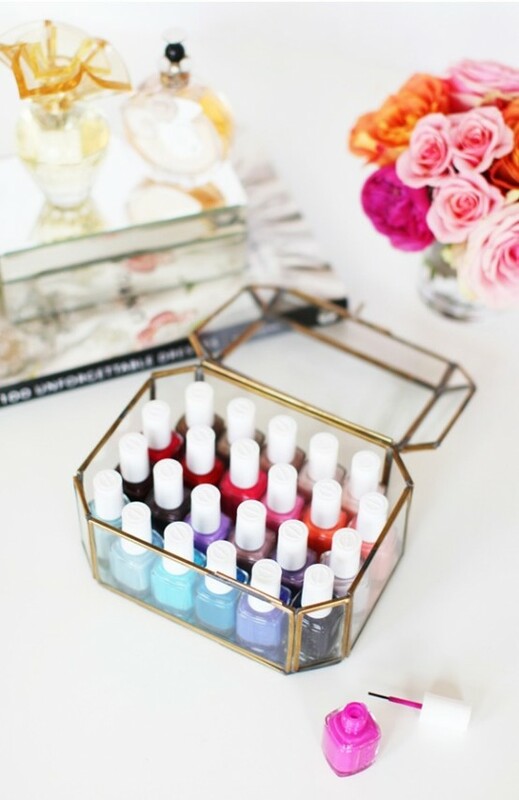 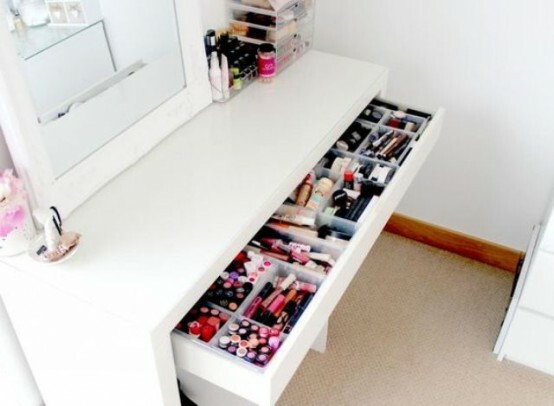 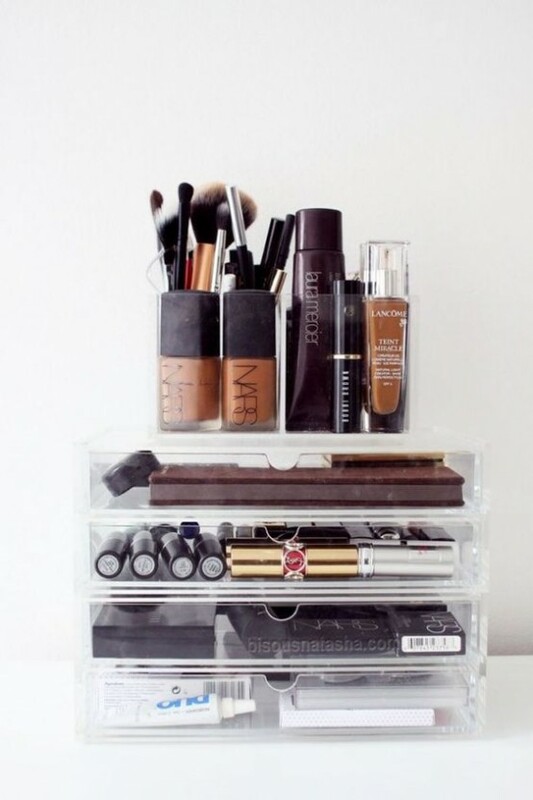 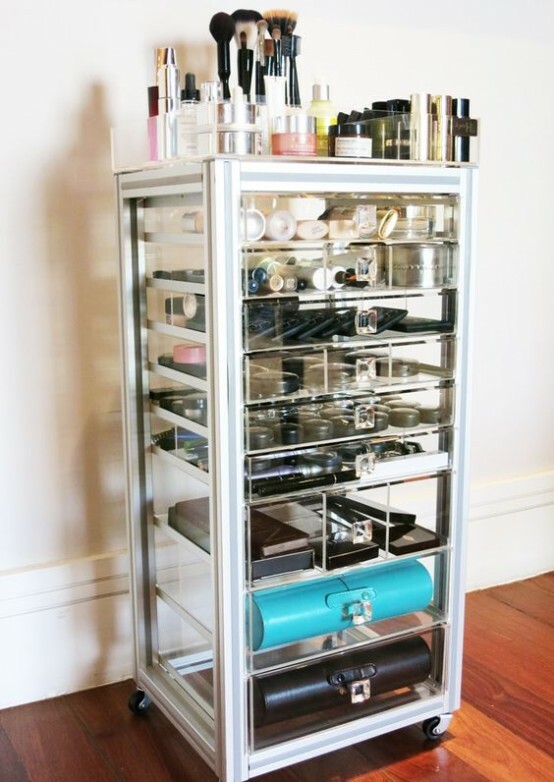 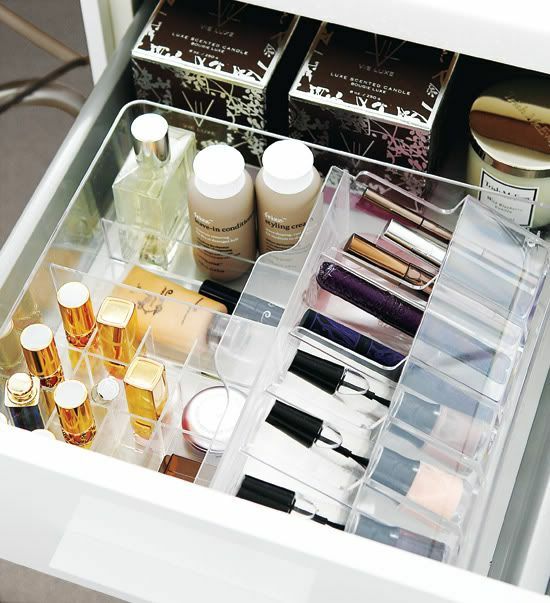 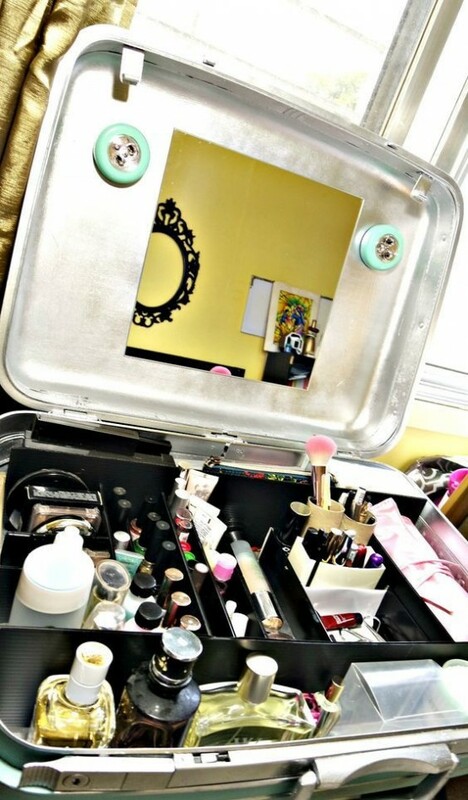 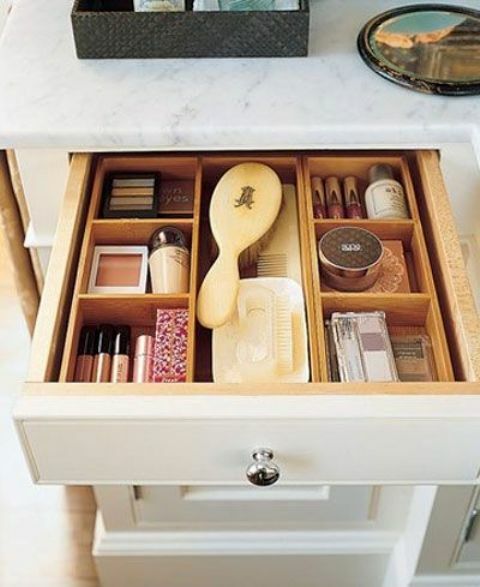 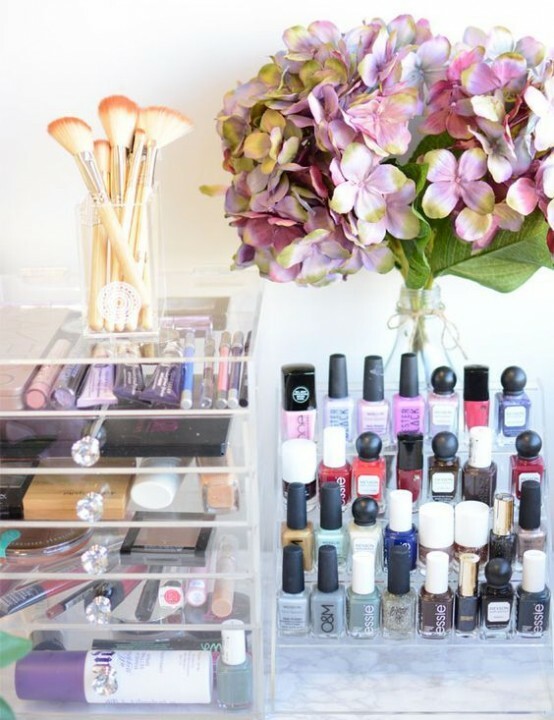 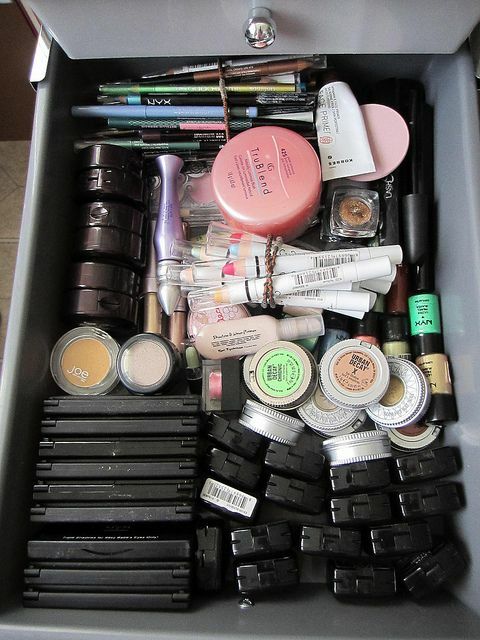 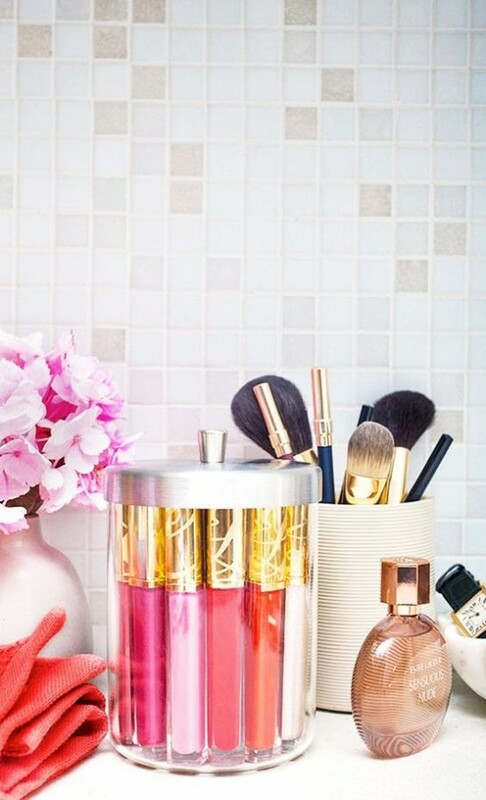 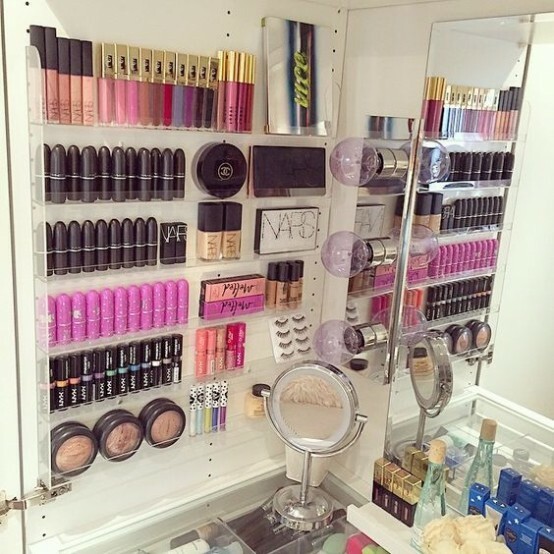 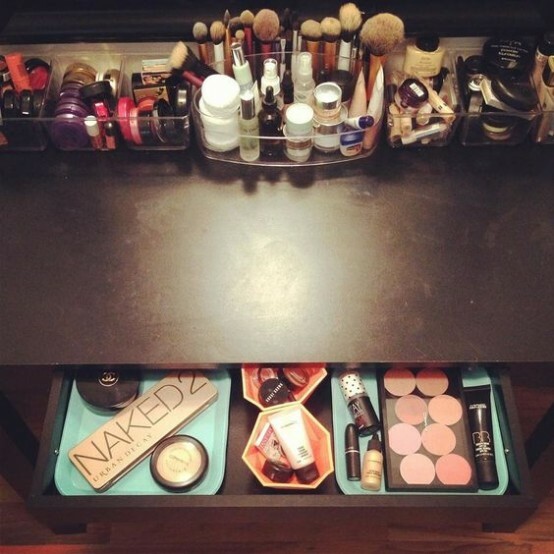 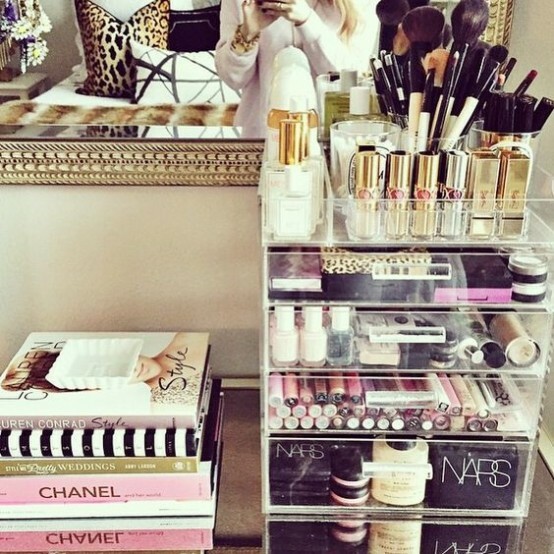 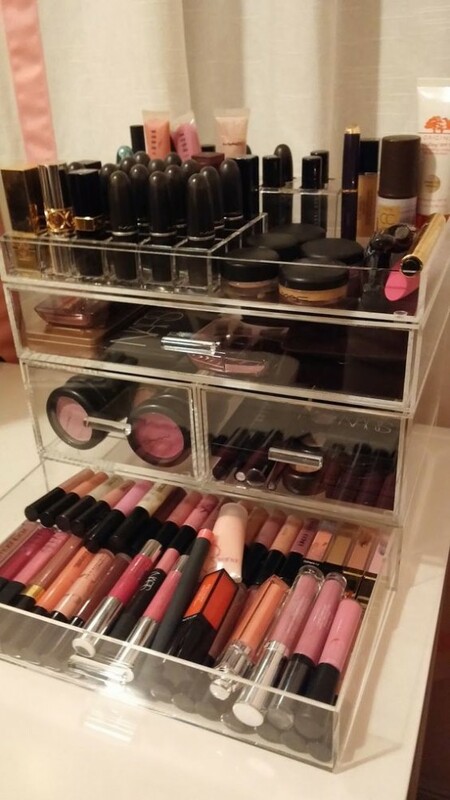 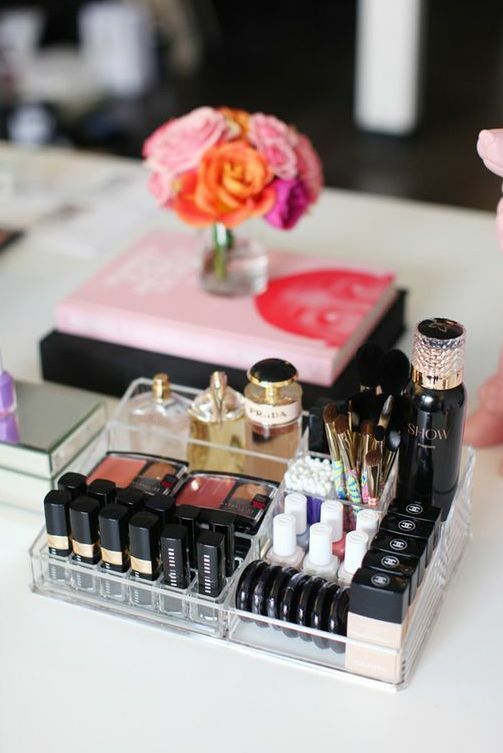 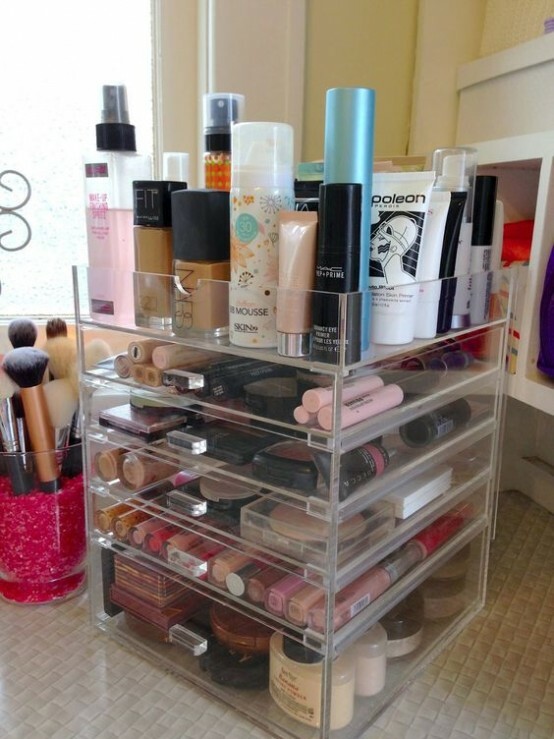 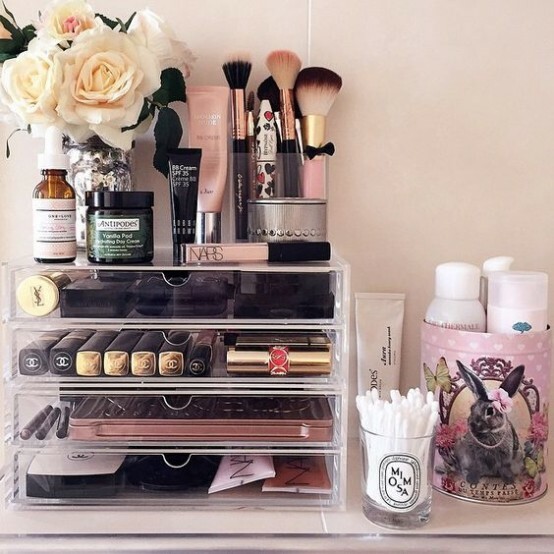 Drawers with storage compartments are also amazing for makeup, it’s a cool idea if you have a vanity. 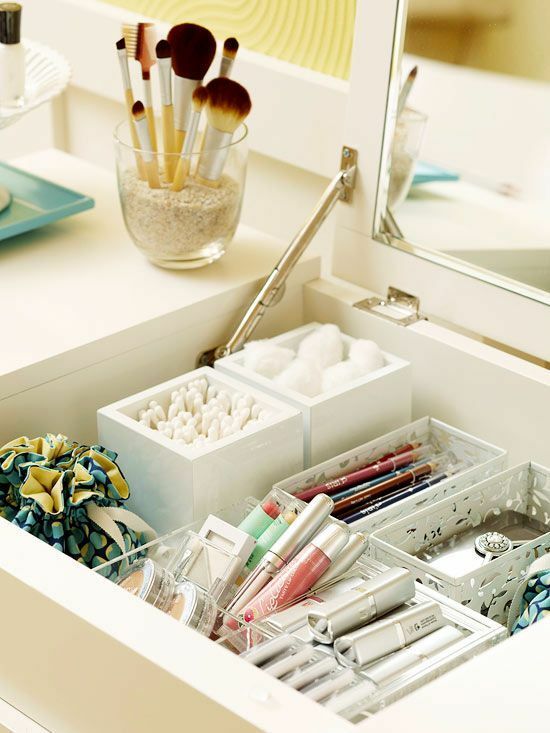 Another idea is transparent drawers and stands that can be places on the walls around you vanity or right on the table – they make finding what you need easier. 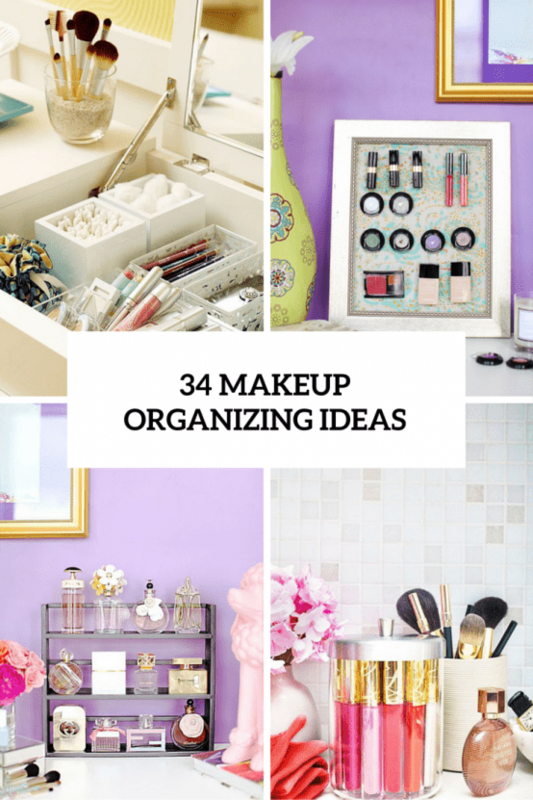 There are much more creative ideas, so get inspired!